Ah Auvergne… So many holidaymakers cross it thinking: “One day, we will have to stop to visit”. And those who do, regret only one thing: not having done it before! Auvergne means of course the volcanoes. The most famous, the ones we see on television, which have rounded curves and craters. But they are not the only ones. 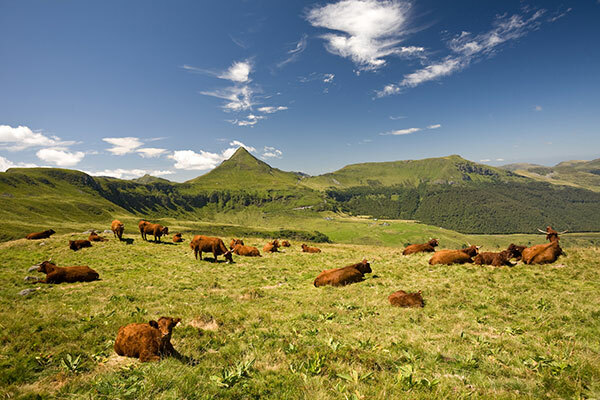 The Volcans d’Auvergne are many and varied, offering breathtaking landscapes. This is one of the reasons why the Chaîne des Puys-Faille de Limagne was listed as a UNESCO World Heritage Site in July 2018. Auvergne is made up of four departments: l’Allier, le Puy-de-Dôme, le Cantal and la Haute-Loire. Each of these territories has its own specificities in terms of natural and cultural heritage, culinary specialities, terroir, architecture and landscape. By staying at the camping de l’Europe in Murol, you will be in the heart of the Sancy Massif and the Parc des Volcans, in the Puy-de-Dôme. Do not hesitate to leave the department to discover the richness of our close neighbours. In Cantal, don’t miss the magnificent village of Salers (2h), a real architectural jewel, classified among the “Most Beautiful Villages in France” as well as the Puy Mary (1787 meters) and its pyramidal shape recognizable among all. 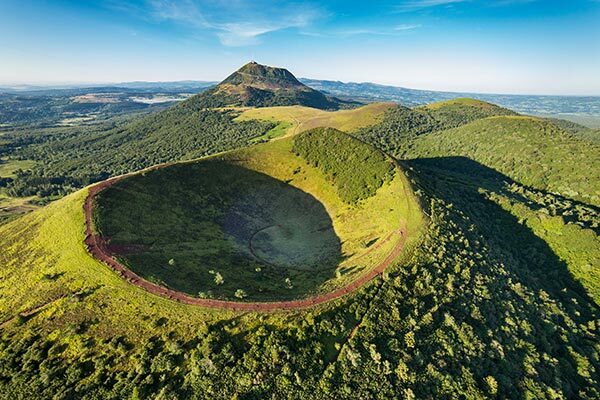 From its summit (30min walk), you will discover the breathtaking panorama of the largest volcano in Europe : the Cantal mountains and its 2700 km span. End your loop by Hot-Acute and its springs of water gushing out at 82° °! 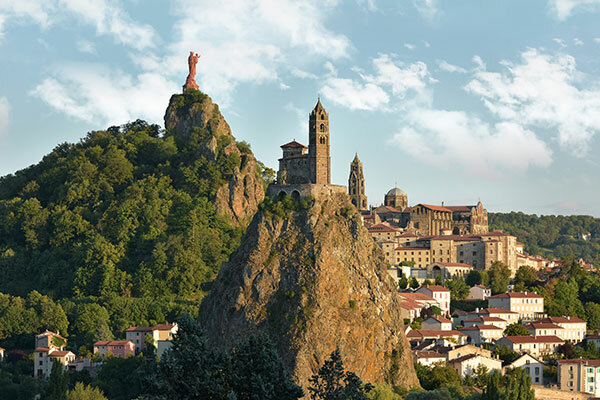 In Haute-Loire, the city of Le Puy-en-Velay (2h) will dazzle you with the richness of its monuments, built on rocky promontories. Starting point of the Paths of Santiago de Compostela, Le Puy is also a city of art that hosts “Puy de Lumière”, scenographic sound and light shows from May to October. In Allier, you will fall under the charm of Vichy (1h30), the queen of the Water Cities. 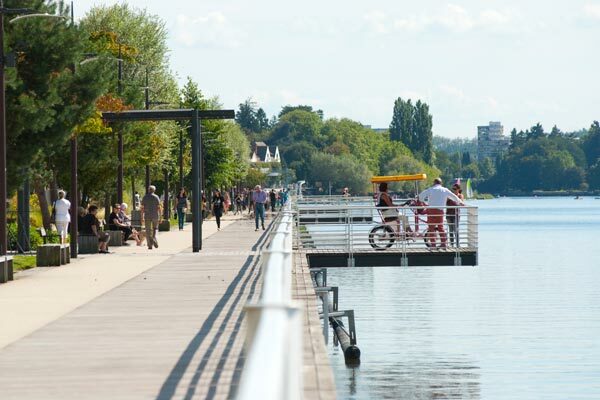 Let yourself be carried away by the narrow streets of old Vichy, discover the thermal district and its Belle Epoque architecture, stroll around the lake of Allier (6km). Families will not resist the call of the PAL (2h15), this Leisure Animal Park which offers its visitors 28 attractions, 700 animals, 3 shows on 50 hectares. 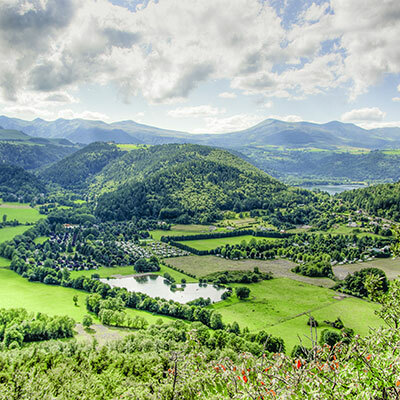 As you will have understood, Auvergne is rich with surprises, landscapes, beautiful stones, discoveries. 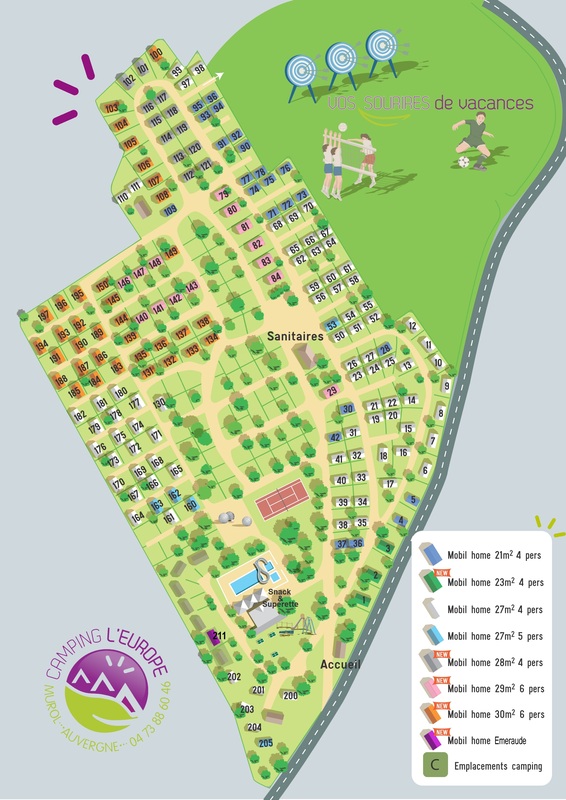 So don’t hesitate any longer and organize your stay at Camping de l’Europe de Murol in Auvergne in order to benefit from an ideal location for your visits!